As mentioned in the February In Theatres post, Kingsman: The Secret Service was one of the films I recommended for you all to go and see this month. I watched three trailers and read a few summaries about the film, which persuaded me into thinking that it would portray a serious tone with a large focus on action and spy training. I also knew there would be a touch of humour as veteran Harry Hart (Colin Firth) struggles to get street kid Gary ‘Eggsy’ Unwin (Taron Egerton) in-line for the prestigious Kingsman recruitment. However, what unfolded on-screen was not at all what I was expecting. 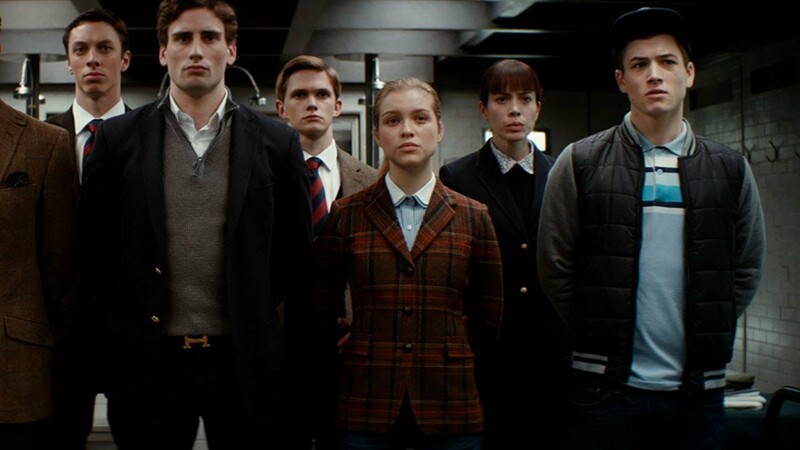 Kingsman: The Secret Service was directed by Matthew Vaughn, who also directed X-Men: First Class, so I was expecting a similar training vibe of the Kingsman recruits as was evident of the X-Men mutants. Throughout the Kingsman training emphasis was placed upon mental toughness, physical strength, teamwork, and above all else secrecy. Each round of training was ruthless and full of exciting twists of action sequences and psychological tests. It was great to see Eggsy excel in this environment, as he fought to work his way up the ranks of the trust-fund brigade. These training sequences were hands down my favourite scenes from the film, and made the price of admission worthwhile. However, I would now like to point out the unexpected twist in theme, because I was completely caught off guard by this change. If you were expecting a serious James Bond-esque film that focuses on a kid from the wrong side of the tracks being taken under the wing of a pro in order to save the world from an evil mastermind, you will be sadly mistaken. 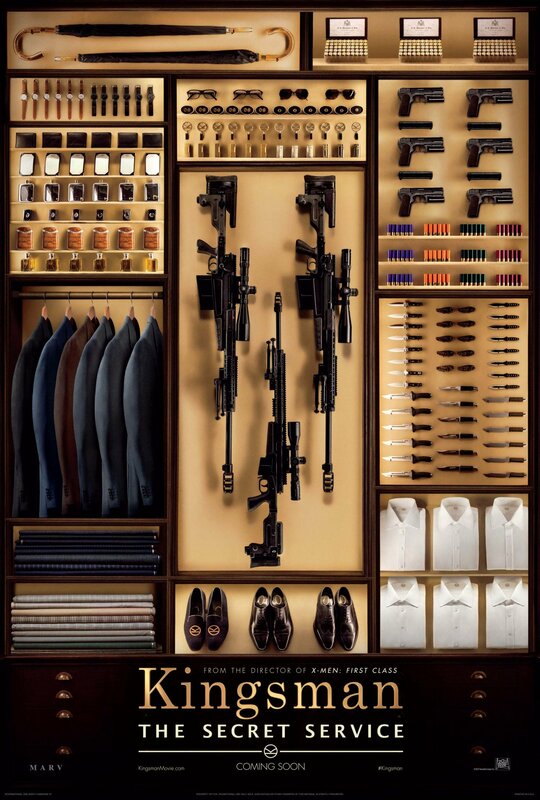 Kingsman: The Secret Service is actually a satirical depiction of the spy genre with a touch of Quentin Tarantino violence and a side of cheesy lines. From the beginning, I was completely taken aback by the ruthlessness of Michael Caine’s character, as he will always be known to me as the gentle soul of Alfred Pennyworth from Christopher Nolan’s Batman Trilogy. 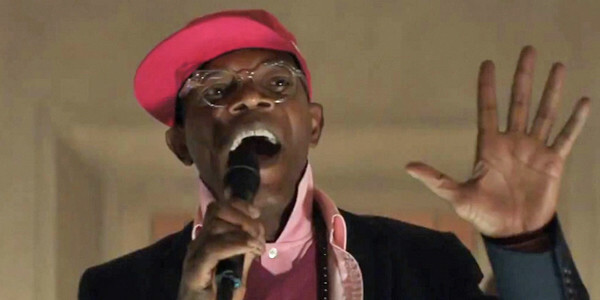 However, the biggest shock of the film was Samuel L. Jackson’s character, Mr. Valentine, the villain the Kingsman are fighting against. Valentine is a billionaire psychopath that is trying to manipulate a worldwide genocide, yet he cannot stand the sight of blood. This phobia was presented within the first 10 minutes of the film when we are originally introduced to Mr. Valentine, and I unfortunately never connected with the character. In conclusion, Kingsman: The Secret Service was an interesting film that I’m happy I went to see, however I probably will not purchase it when it’s released on DVD. This is only because I like a more serious tone when it comes to espionage films, such as the James Bond or Jason Bourne series. However, if you are fan of satire, graphic murder, and action then you will thoroughly enjoy every minute of this film! Bonus: This was the first big film for both Taron Egerton (‘Eggsy’) and Sophie Cookson (‘Roxie’) and I thought they gave exceptional performances. Check out the video below for an interview of their experiences working with Colin Firth, Michael Caine and Director Matthew Vaughn.